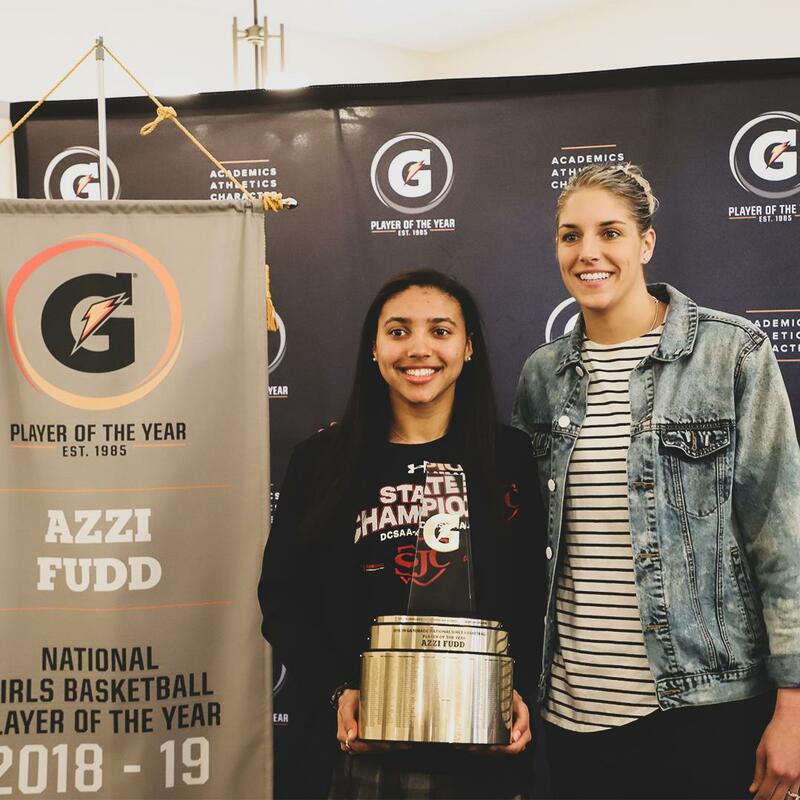 St. John College High School sophomore and a star D.C. basketball player Azzi Fudd has been granted the Gatorade National Girls’ Basketball Player of the Year award, which was presented by Washington Mystics’s Elena Delle Donne. She is the first sophomore to receive this award. Having a successful season last year, she averaged 26.1 points, 2.5 assists, 2.2 steals and 1.9 blocks. Moreover, she was able to achieve all these high scores while maintaining a 3.68 GPA. First presented in 1986, the prestigious award recognizes student-athletes in 12 sports in 50 states and D.C. In the past, Olympic gold medalists and WNBA legends including Candace Parker, Maya Moore, and Breanna Stewart have been conferred with this award. Delle Donne has also won the Gatorade Player of the Year award thrice for Delaware. “I haven’t seen her play in person. I’ve seen film. She’s got that nice right and up mid-range just like Maya Moore. I was having some Maya flashbacks. She’s such a special player. If all goes well, this award can be here [at St. John’s] for a couple of years,” Donne said while praising Fudd. Fudd is also a member of the USA Basketball U17 Women’s World Cup Team. She’s ranked No.1 for ESPN’S Class of 2021. Off the field, she planned and hosted the “Hoop for a Cure” basketball clinic and raised money for the Pat Summit Foundation. She has also mentored local youth and worked as a volunteer at local youth basketball camps, and also at the Catholic Youth Organization. The Gatorade Player of the Year program recognizes America’s most elite high school athletes for their achievements both on and off the field, as per a news release. The previous winners of this award in high school sports include Peyton Manning, Karl-Anthony Towns, Abby Wambach, Derek Jeter, and several other sports icons.